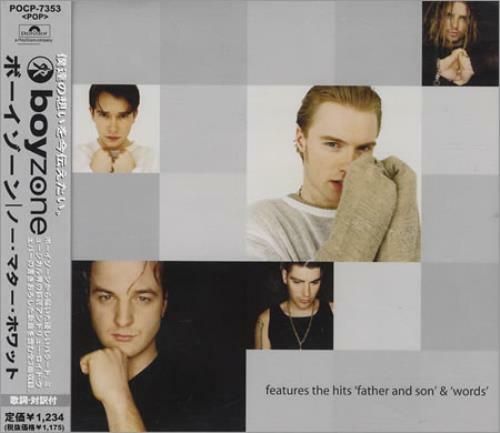 BOYZONE No Matter What (1998 Japanese 3-track promotional sample CD single includes Father and Son and Words. Custom stamped disc with picture sleeve with lyrics and original obi-strip). or visit our Boyzone image gallery.